Windows 7 & 8, x64: Briteblox_Win64_Drivers.zip – Unzip this folder, then connect the USB Communicator to your PC. When Windows claims it cannot find the drivers on the Internet, point it to this folder. Mac OSX (x64, 10.6+): BritebloxUSB.kext.zip – Unzip the .kext file contained herein into /System/Library/Extensions/IOUSBFamily.kext/Contents/PlugIns/. May require reboot to install completely. 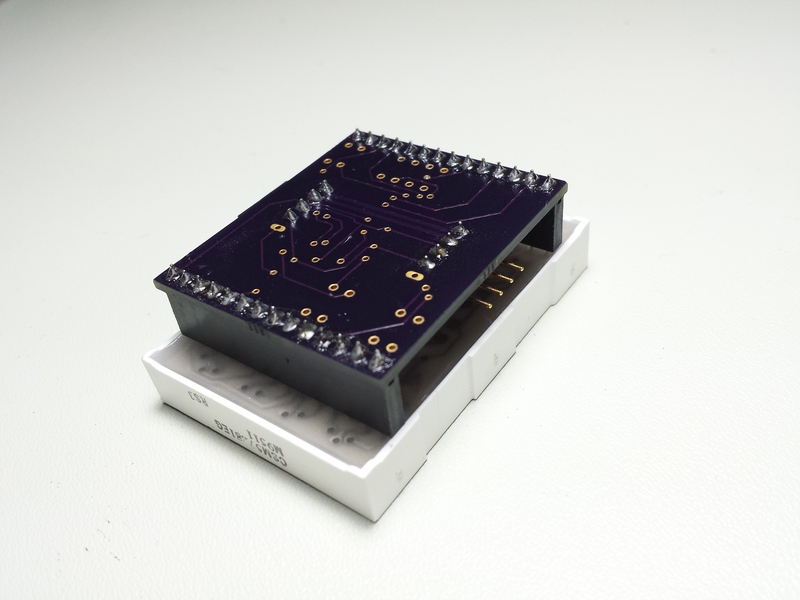 We produced three runs of Displayboard prototypes for our own personal examination, and offered the first two of those as rewards to backers on Kickstarter. 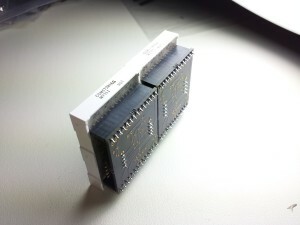 The Gen 3 prototypes were fabricated after the Kickstarter funded, and the production run is almost identical to the Gen 3 run (except we added some easy-access pin pads on the back side). 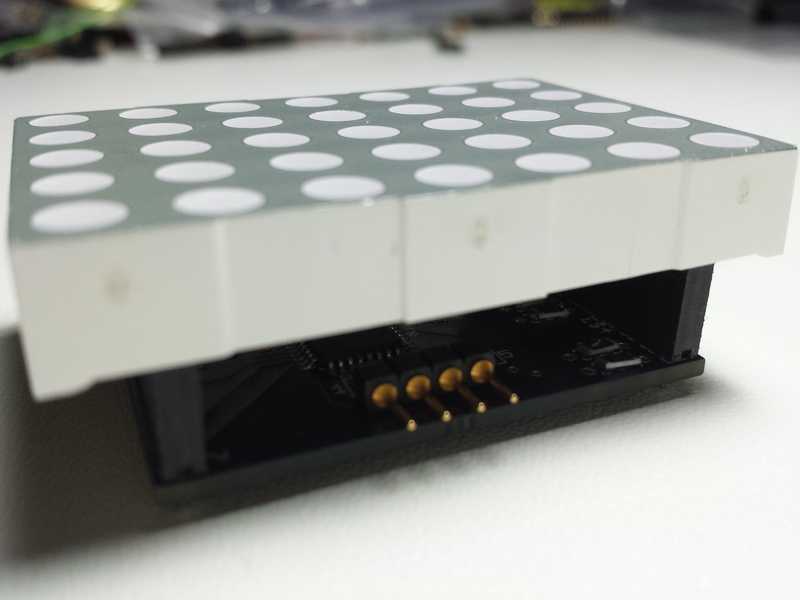 – Ceramic Resonators for better clock speed allowing for faster scrolling. 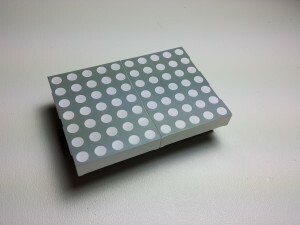 – Wall/Mounting holes for attaching Displayboards permanently. Displayboards use the Arduino Bootloader on ATMega168 chips which can drive up to 20mA per digital output = perfect for indoor-use LED Displays! 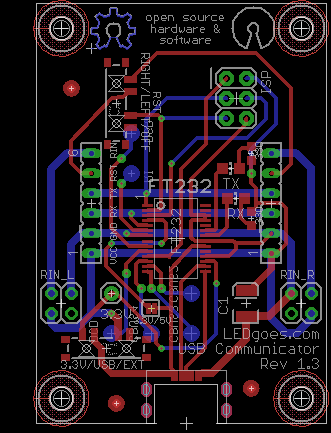 USB Communicator is a small Power + Programming + Control board for your Displayboards. 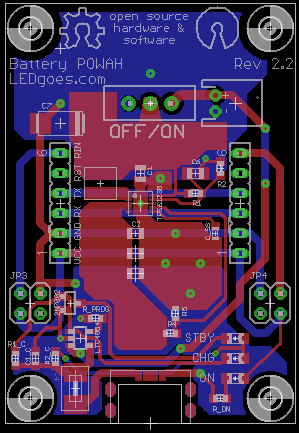 Use this to run your boards at speeds between 9600 – 500,000 bps. 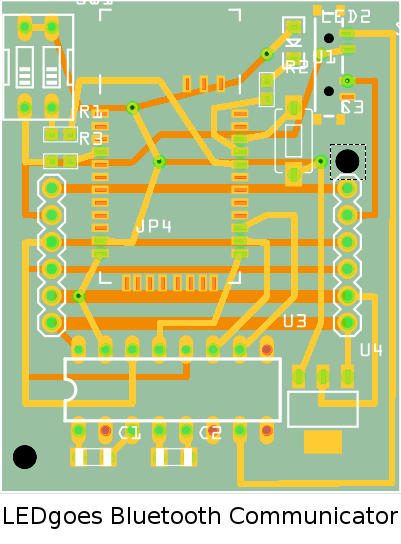 Perfect for powering systems using 6 boards or less at full brightness; reduced brightness occurs with up to a maximum supported size of approximately 20 boards. 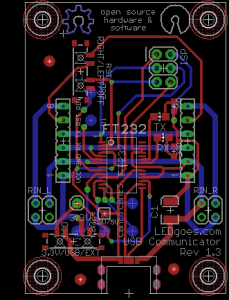 Can be used as a dual programmer to easily upload new sketches to Displayboards efficiently. Exposes pads for all serial signals: TX, RX, RTS, CTS, DTR, DSR, DCD, and RI. Bluetooth Communicator is just like the USB Communicator only Bluetooth and no Onboard Power capabilities. Can be used with Battery or Wall POWAH. Battery POWAH is a battery power attachment with a Li-ion battery which can be placed above the board. 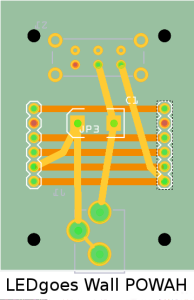 Supports USB Passthrough while charging (or not charging). 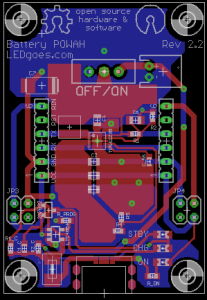 Great for up to 10 Displayboards at full brightness. Wall POWAH is a High Amperage Wall Power Supply that supports data passthrough, and can power up to 64 Displayboards at once (maximum size per control connection). 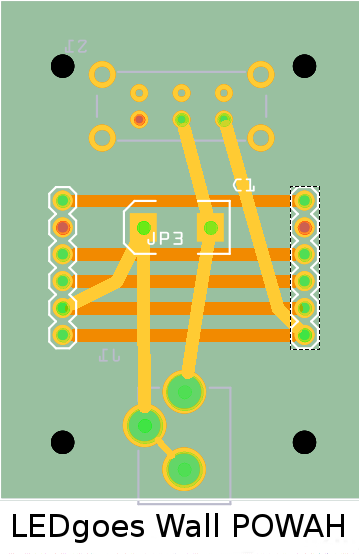 Unique to our system, you can also use all of the partner boards at once (onboard switches pick the power source). 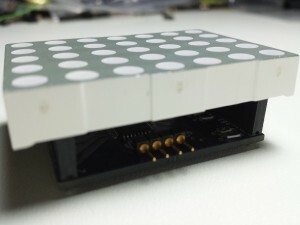 That allows your one standalone system to connect any way you want, to any computing platform. 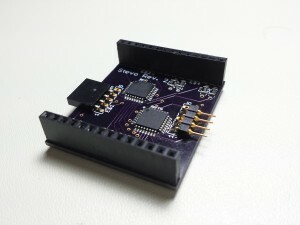 Because we support LINUX, you can directly connect to any Raspberry PI, BeagleBone, PCDuino, PandaBoard, etc through BT, USB, or even GPIO PINS! (5v logic required). 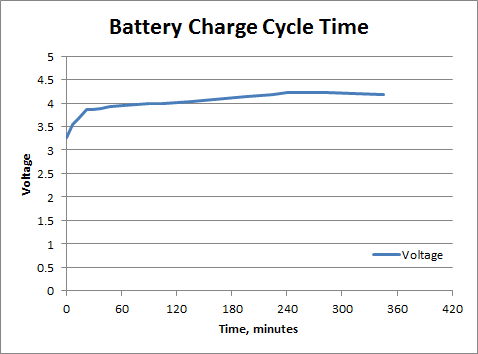 Battery POWAH performance graphs are offered below, featuring the observed run times for various configurations. These configurations start with a full battery and are run until some sort of glitch is observed with the system that would indicate the battery has gotten too low. 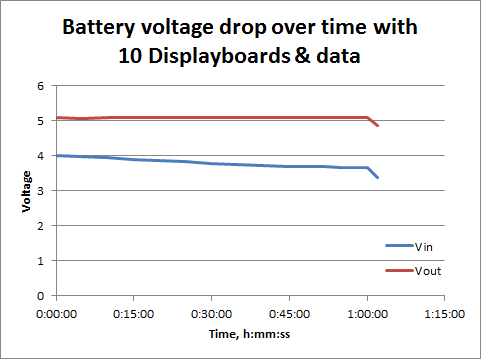 This graph shows the battery voltage and output voltage for ten Displayboards plus Wireless Communicator showing data at 115200 bps. This is the voltage level of the battery throughout the charge cycle. 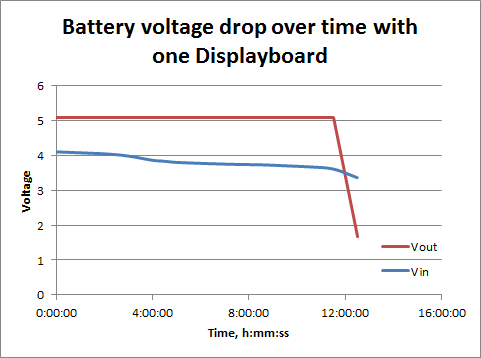 This graph shows the battery voltage and output voltage for one Displayboard powered on but sitting idle.